The London Borough of Newham issued a resolution to grant last night for Linden Home’s Brunel Street Works project. 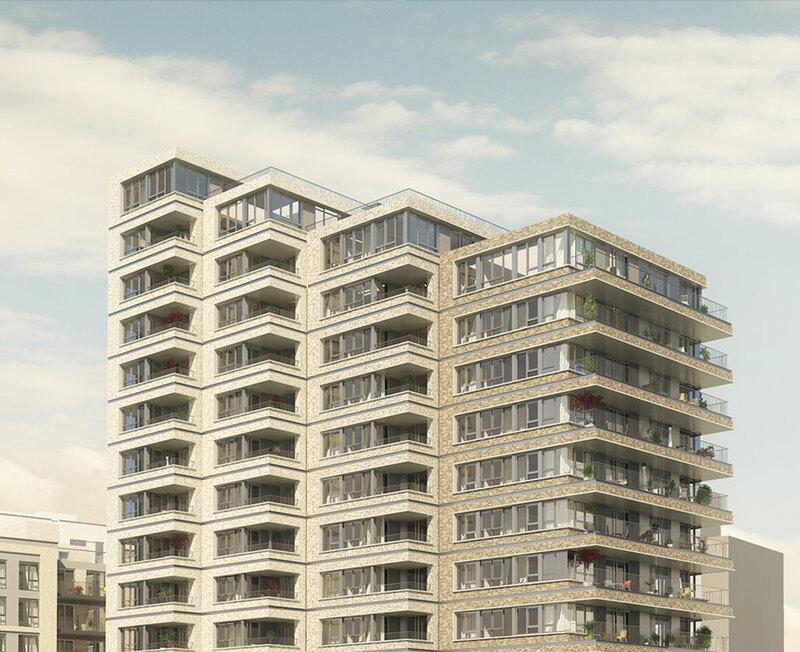 The masterplan was led by JTP for 975 dwellings in a mixed use proposal creating new homes and businesses on former GLA land south of Canning Town tube station. This is another important step to local regeneration and new housing. JTP, GRID and Cartwright Pickard designed the four buildings on the site. GRID’s 15 storey residential building, called the Castalia Building, sits to the southern most end of the site. All 105 dwellings are dual aspect. The architecture was developed with the other practices to ensure a strong and cohesive expression across the site, while each building has the natural variations of different architects’ approaches. The client is a JV called OPAL (Silvertown) LLP between Linden, GTP and Fizzy.